Ok, I think the idea behind this poster is pretty clear. 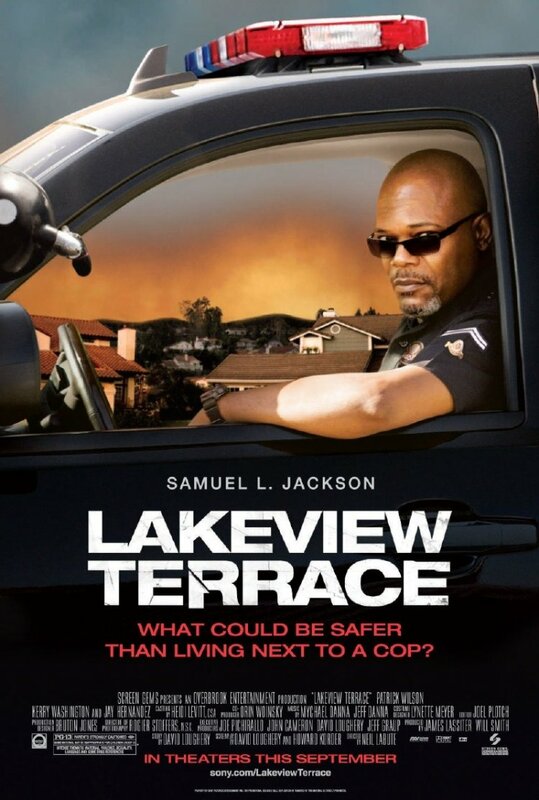 We have Sam Jackson as a cop, looking very menacing. That look is contrasted with the background which shows a quiet suburb at sundown. What we are supposed to get is that beneath the seemly peacefulness of the surroundings is Jackson’s character, ready to disrupt the good times by going psycho. Or maybe, if the film is feeling subversive, his brutality and violence is what maintain the appearance of security and peace. The fact that is sundown probably is meant to refer to the transition between the safe day and the dangerous night when Sam lets his dark side loose. But I get all that because I know that this is supposed to be a serious and dark movie. When I saw the poster my first thought was buddy action/comedy cop movie. When I noticed Jackson was alone I dropped the buddy, but my general impression was still action/comedy, with perhaps an unusual dose of kickassery. I think my problem with the poster is that Jackson just doesn’t come across as that menacing. Perhaps that’s because I have become used too him playing characters that are supposed to be scary in less than serious movies, so I don’t take him as seriously anymore. But I still think he can seem more dangerous than this. And the background also seems way too comforting. Plenty of images and posters have been composed with the idea of making seemly safe suburbs look uncomfortably dangerous, so the idea of danger bubbling under the peaceful exterior is not new and it can be pulled off. But I just don’t think it works here. Which is all too bad, because the underlying idea could make for a cool poster. I also thought it was supposed to be a kickassey (great word) action movie or comedy. I think the tagline doesn’t help. Anytime I see a question as a tagline, I interpret it as less serious and more action or comedy, especially because the questions on movie posters are not actually thought provoking. Imagine the same poster without the question, like “Security is an illusion”, for example. I think when it comes to taglines, a bold statement expresses a bold movie (or an intention for a bold movie).